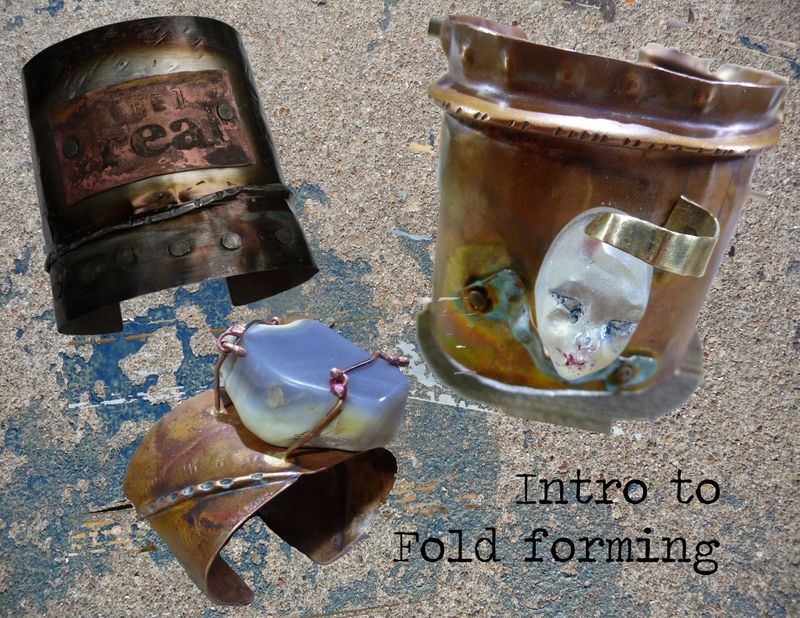 Intro to fold forming class - in this class you will learn to heat and manipulate sheet metal using a torch and other tools, make and set rivets; and mount a stone or other object creating a cuff that is unique to you. We will also discuss adding patina to your work. Students may bring stones or other objects to personalize cuff.